NOT only is Chippa United retrenching the players, but they are also beefing up their team in the office following the appointment of Morgan Mammila as their chief executive. In confirming the unexpected move, Baroka FC chairman, Khurishi Mphahlele, who groomed Mammila to an executive position, said the latter will join Chippa on Monday. In essence, Mammila is currently serving notice at Baroka until Sunday when he will be flying out to hook up with Joel Masutha, who has been struggling to keep the fires burning on the field of play. But maybe the presence of Mammila in the club’s Eastern Cape office will come handy to head coach and sign relevant players who might help the club get out of the danger position they currently find themselves. Mammila replaces Peter Koutroulis who has been like office furniture at Chippa. 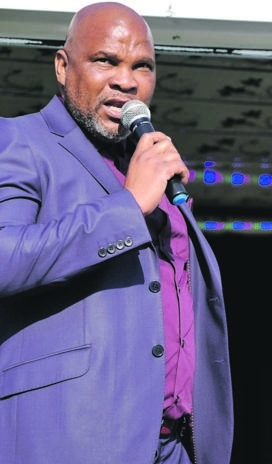 He was shown the exit door on allegations that he was misleading club boss Siviwe Mpengesi. “This is good for Morgan’s future,” Mphahlele told SunSport on Monday. Chippa, second from bottom of the Absa Premiership, run the risk of being relegated or negotiate their PSL status through the play-offs, something that might irk Mpengesi’s nerves. Tonight they face an irate Orlando Pirates in the toast of this evening’s league matches at Orlando Stadium (7.30pm). Fifteenth on the log table with a paltry 12 points from 16 matches, Chippa need to collect points fast, if they are still interested in playing in the PSL. But the challenge is that they face a Pirates side that drew 2-2 with Highlands Park, meaning they dropped two points in their quest to downgrade a top of the table side Bidvest Wits at the summit. Bucs are second with 28 points from 16 matches, which is five lesser than the Clever Boys, from the same number of matches played. Masutha said he is switched on for Pirates and is not scared, or feeling any pressure. “It’s a big game, but we can handle them,” Masutha said.